Welcome to Roman Britannia! Salvete Britanniae! 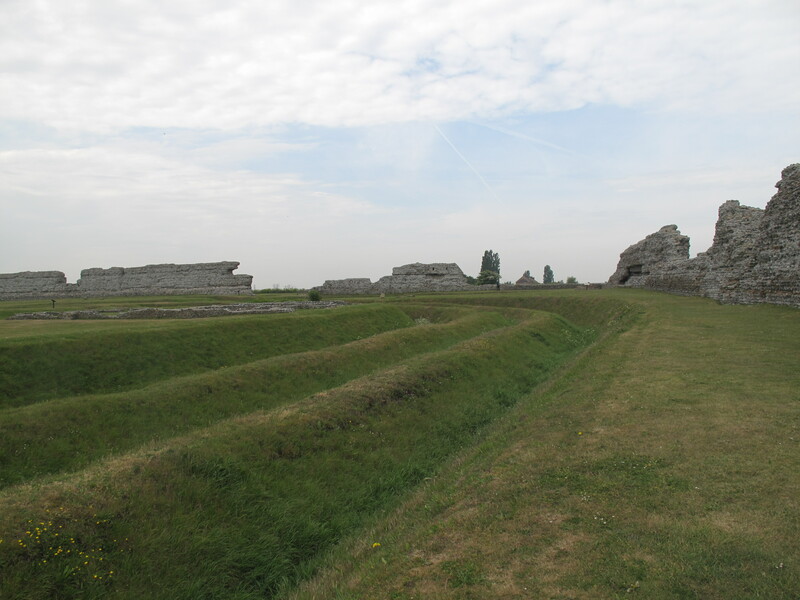 Richborough Fort, which the Romans called Rutupiae, was the gateway to Roman Britain. Its history began in AD 43 with the invasion force led by the emperor Claudius. 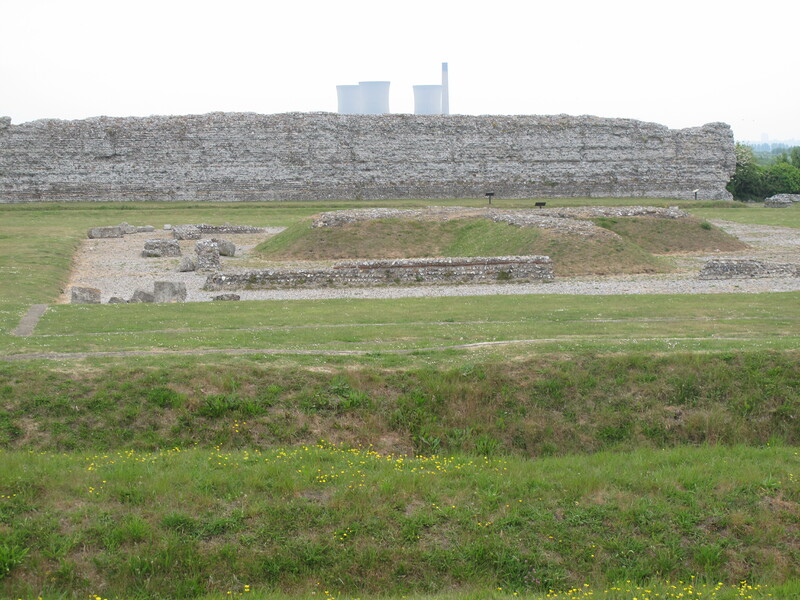 This May I explored Richborough which is near Dover in the county of Kent. Rutupiae began as a base marching camp for Claudius’ conquest of the island. During the Roman occupation of Britain the site developed from a military base to a civilian town and harbour and then in the third century AD a stone Saxon Shore fort was built here. Rutupiae was the main port into Britannia from the English Channel and one of the things I discovered visiting the site was that the Romans built a huge monumental archway that could be seen for miles as the physical gateway into Roman Britain. Built in AD 85, this monument was covered in white Carrara marble from Italy and bronze statues. It stood 86 feet high. All that remains of it now is the foundation. The large grass-covered ditches that dominate Richborough are also striking and unusual. It is uncommon for fort defensive ditches to be left exposed after excavation. They date from the third century fort. 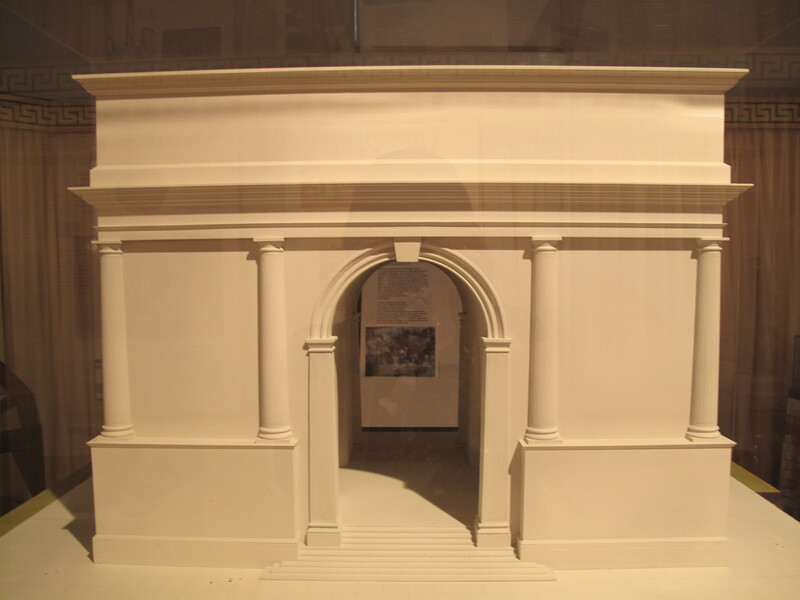 Other nearby Roman sites in Kent worth visiting are Reculver Roman Fort, the Roman Lighthouse (pharos) in Dover Castle and the Roman Painted House in Dover.